Bipolar disorder and poor sleep quality trigger negative moods in women. Bipolar disorder is a mental illness characterized by mania highs and extreme lows in mood. These changes in mood are not instant and in fact manic episodes can last for days along with depression. During periods of mania, a bipolar patient may go days without feeling tired or even sleeping which can contribute to many of the above sleep complications. But the bigger issue with improper sleep is that it can take a greater toll on mood in those with bipolar disorder. “Women and men sleep differently. We know from studies of the general population that women have a different type of sleep architecture than men, and they’re at different risks for sleep disorders, particularly during the reproductive years,” explained Saunders. Along with sleep differences men and women experience bipolar disorder differently where women often experience more depressive symptoms then men along with co-existing anxiety, eating disorders and migraines. The researchers analyzed 216 participants and looked at their sleep quality and its affect on mood at the beginning of the study and again over the course of the two year study period. Mood was measured by severity, frequency, variability of depressive symptoms or manic symptoms. “We feel it’s extremely important for clinicians and patients to recognize that sleep quality is an important factor that needs to be treated in patients with bipolar disorder, particularly in women,” concluded Saunders. Sleep disturbances are common among those with bipolar disorder; in particular insomnia and bipolar disorder are often shown to be linked. 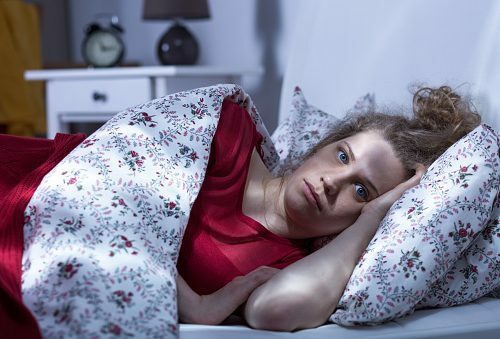 Insomnia can be seen in both mania and depression and a vicious cycle can occur where countless nights of insomnia can trigger episodes of mania. During depressive episodes the condition is known as hypersomnia where the patient sleeps for countless hours and will even nap throughout the day. Irregular sleeping patterns can contribute to new episodes of both mania and depression. Our bodies run on what is called a circadian rhythm which uses biochemical, physiological and behavioral processes. The circadian rhythm is what controls sleep cycle, hormone function, appetite and body temperature. Some research findings suggest that the “clock” gene may play a role in the onset of bipolar disorder. Patients of bipolar disorder often have disrupted circadian rhythms specifically with the sleep-wake cycle. Maintaining a regular sleep-wake schedule is essential for the treatment of bipolar disorder as an irregular schedule can contribute to bipolar complications. Prior to a mania episode: patient may experience less sleep days prior to a mania episode. This can be an early symptom of a mania episode. During mania: patient may not be tired and so does not get adequate sleep. Sleep during mania is often accompanied by abnormal REM sleep which has been shown to help with memory and learning. During depression: hypersomnia occurs, patients sleeps for endless hours and takes frequent naps. Between episodes: although not extreme in between episode sleeps for a person with bipolar is still different than a person without bipolar. Although patients with bipolar disorder often have problems with sleep what is known is that proper sleep can help minimize mania and depression episodes and aid in better treatment results. Proper sleep is essential for anyone, whether they have bipolar or not. Because poor sleep plays such a dramatic role on the health of bipolar patients it’s essential to work on getting proper sleep and normalizing sleep schedules. Here are some tips which can help bipolar patients improve their sleep. These are just some tips to improve sleep if you have bipolar disorder. For other tips talk with your doctor or a therapist who can make you a personalized plan.